In the modern business world, employees are becoming less tied to their desks, and as such many employees are using smartphones to stay connected. These devices give us access to everything we need to stay productive – emails, web-browsing, calls, etc. 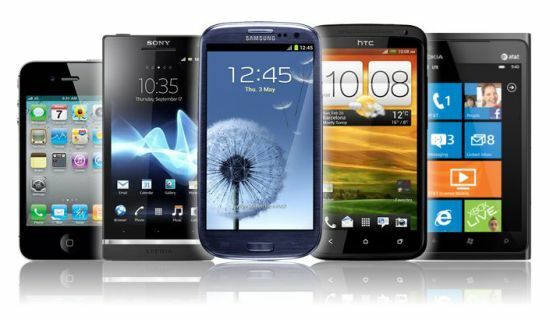 This brings the question; which smartphone is the best mobile phone for business? There are a few key things to consider when choosing the best mobile for business use such as; functionality, design, processing power, storage capacity and battery life. Midshire have already reviewed a range of smartphones and have selected some of the best business mobiles to offer to your business. So, whether you’re looking for the latest iPhone, Samsung Galaxy or Google Phone, Midshire have it in stock and ready for your business. We’ve also got a great range of bolt-ons, to support your business mobile needs further, which are available alongside any of our current plans, for as long or as little as you need them. Midshire have over 15 years of experience in the business telecommunications industry and are a Samsung award-winning mobile provider, recognised for our skills and expertise within the mobile industry. Thanks to our partnerships with industry leading network providers Midshire are able to offer some of the most competitively priced mobile deals available. We understand that the mobile solution you choose for your business is critical to its full functionality. Should something go wrong, we don’t want you to miss any important emails, phone calls or messages. Our expert support team is on hand, and make it their priority to get you back on your feet as quickly as possible. So, if you’re looking for the best business mobile phone, talk to an expert at Midshire today and find the best deal for you.